We offer quality repair and competitive prices for all of your exhaust system and muffler repair needs. Make sure to stop by our 305 South White Horse Pike location for an inspection, as a damaged exhaust can hurt both your car and the environment. 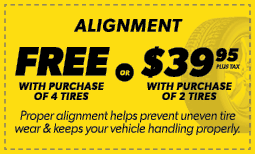 When you need brake repair, brake pad replacement, or even a total brake job, our local Clementon, NJ Meineke is there to help you with everything you need to drive (and stop) safely. Jerry Is great and no nonsense kind of guy.